sounds like a wonderful lazy morning! thanks for sharing, those biscuits look WONDERFUL. yoghurt biscuit ! thought it was english muffin. Ummm.. the biscuits look good. I thought they looked a bit like scones. Those look unbelievably yummy. I just realized I'm hungry! 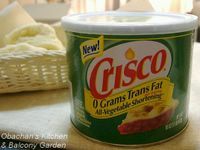 I haven't heard of the no-trans-fat Crisco, I'll have to look for some. 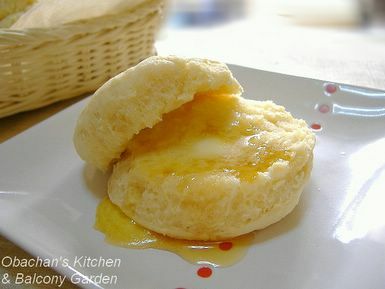 The biscuit look yummilicious..!! and sinful.. hahha!! Thanks. They looked lovely in the morning sunshine. Well, the texture of American biscuits is a bit different from English muffins, I think. I just wanted to try this Crisco stuff to see what it’s like. Yeah, the melting butter with the syrup… mmmmmmm….!!! So great to hear from you! :D Hope you had a good start of the new year.